Happy Friday lovelies! I've been meaning to get this gorgeous skirt and heels on the blog. Love the 70's feel of this mini and the woven detail makes it look so luxe. These blue suede shoes by June Ambrose for HSN were love at first sight. When I visited HSN a month ago I tried them on for the first time and I was obsessed! The blue is even prettier in person and the floral wedge heel is so fun! These shoes can add an instant pop of color and print to any look. They look fab with neutral pieces like I'm wearing now, but will look equally fab mixed with other colors and prints. By the way, y'all know the big Nordstrom Anniversary sale is going on right now, right?! Well guess what?! 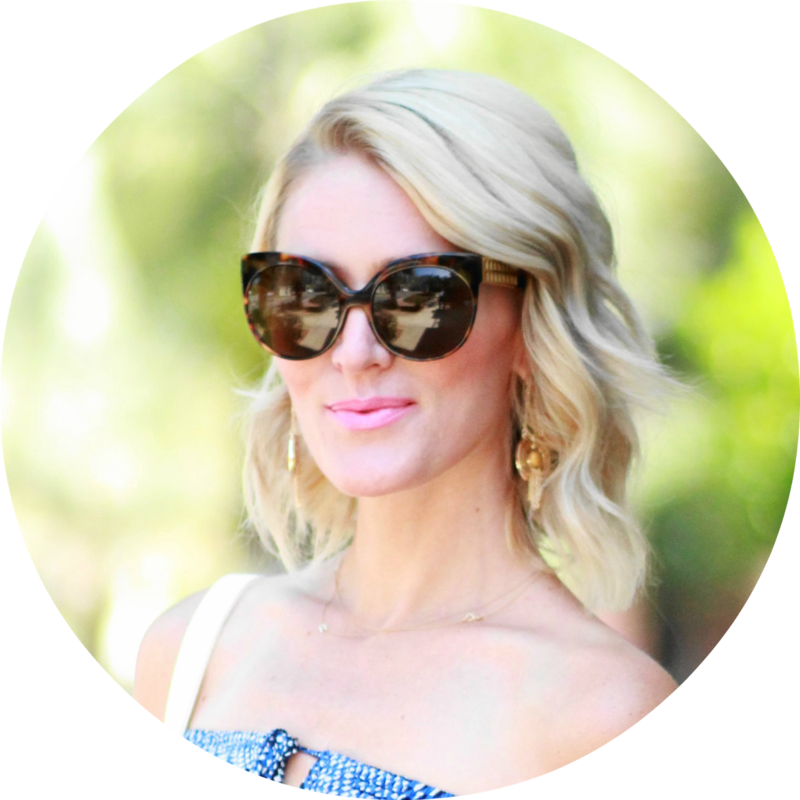 I teamed up with some other chic mama's for a great Nordstrom giveaway! See my instagram post HERE to enter! We're giving away a Nordstrom gift card valued at $715!! Giveaway ends tonight, so don't miss out! Fabulous outfit, love how you've styled it! Your shoes are so unique! Great outfit. Shoes are really amazing... I love it!